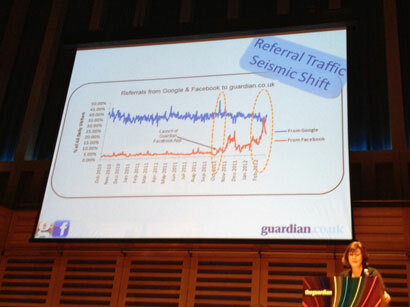 More than one in 10 Google UK search results includes at least one journalist photo and bio byline, according to a study by search and social analytics company Searchmetrics. 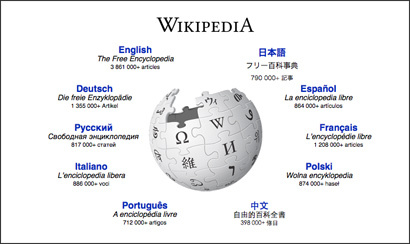 The study looked at the top 100 search results from 1 million keywords and found that 13 per cent included journalist bios and pictures for the author of articles. 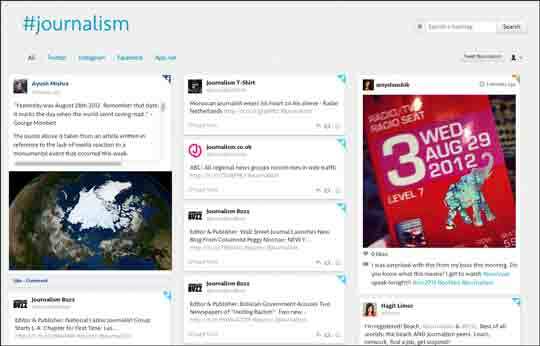 Getting a photo and bio displayed in search results requires a journalist to have a Google+ account and their profile to be linked with news stories (instructions on how to do this are here). UK writers in the top 20 include Charles Arthur, the Guardian’s technology editor, and Edward Chester, reviews editor at TrustedReviews.com. US journalists dominate the top 20, “meaning UK journalists and publications are missing out on increased visibility, traffic and potential advertising revenue”, according to a release from Searchmetrics. The author profile feature, known as authorship markup, is something that Google has been rolling out since the end of last year. 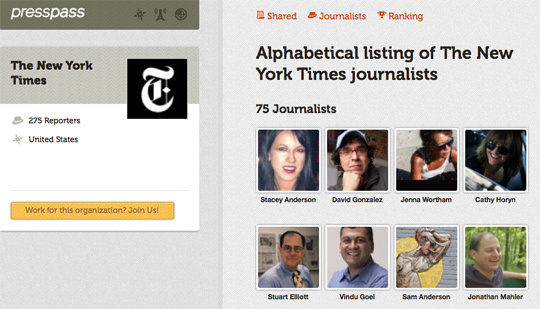 It includes author profile information with a thumbnail image and links. Journalists and bloggers who write about technology, medical and food topics are among those that are most visible in author profile integrations according to the study by search and social analytics company, Searchmetrics, which analysed Google UK search results relating to one million popular keywords. More writers from US-based sites are appearing in the top 20 because authors generally need to have a profile on the Google+ social network to be displayed in author integrations – and we assume more writers for US sites are on Google+ and also Google has possibly encouraged some US sites to set up their articles for author integrations. It was surprising to see more than one in ten of the results tested are showing author integrations because this is still a new feature – it’s much higher than I expected. This entry was posted in Search, Social media and blogging and tagged Charles Arthur, Edward Chester, google, searchmetrics on April 30, 2012 by Sarah Marshall. Duedil, which describes itself as the world’s largest database of free company financials, has just finalised a second round of investment from Jonty Hurwitz, the founding CTO of loans firm Wonga. 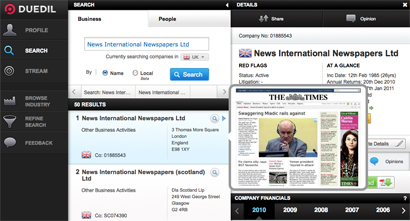 Duedil is a free tool that all journalists should take a look at, as it provides a hugely valuable way to search for information on company finance, directorships and more. Duedil’s database lists every company and director in the UK and Ireland allowing anyone to access the information for free. It has recently added new features including alerting you to which of your LinkedIn contacts may be able to provide information on that company. In a release, Duedil said it “has ambitious plans to revolutionise the way business information is accessed and used”. Angel investor Hurwitz, who is investing an undisclosed sum and has a minority stake in Duedil, “has built a team and technology platform that have radically altered the short-term finance market,” the release states. Founded in 2007 with Errol Damelin, Wonga turned over £74 million in 2009, and is growing every year. With an eye for the next big thing, Hurwitz sees the vast potential for business growth in big data analytics. He will bring both his technical and strategic expertise to Duedil, which he hopes will develop into the premier source of business information in the world. This entry was posted in Business, Handy tools and technology, Search and tagged companies house, Duedil, finance, investment, wonga on December 15, 2011 by Sarah Marshall. How is it of use to journalists? 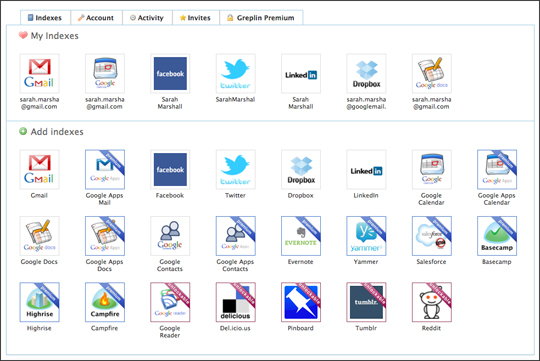 Greplin allows you to search your Gmail, Google Docs, Facebook, Twitter, LinkedIn and Dropbox accounts in the same way as you would use Google to search the web. Recommended by Amy Webb at US journalism conference #ONA11 as “a way of sort of defragging your brain”, Greplin is a tool that can help journalists find a key piece of information in a second or two. For example, you may be working on a story about a company or subject and have information in emails, your Dropbox account, Google Calendar and LinkedIn. 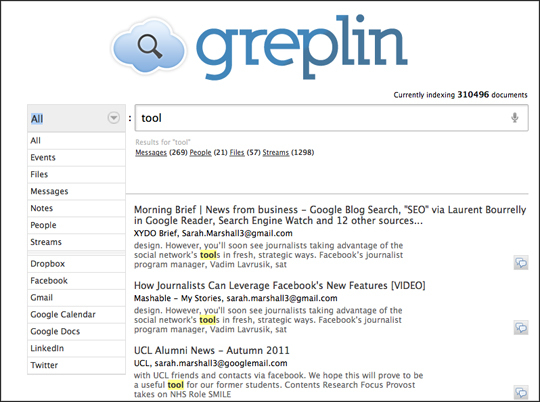 One search in Greplin will allow you to surface the source documents and references to the company or topic. The basic subscription is free and includes those accounts listed above. You can unlock services such as Delicious by tweeting about Greplin, and there are some services, such as Evernote, only available with Greplin Premium. There is a free iPhone app and also a browser extension for Chrome, which is well worth adding. This enables you to search your files simply by prefixing your query with a “g”. This entry was posted in Handy tools and technology, Search, Tool of the Week and tagged browser extenstions, Dropbox, iphone apps, search tool on November 22, 2011 by Sarah Marshall.